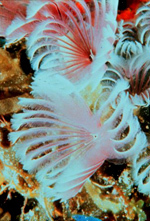 Seamount ecosystems include many rare and unusual species, such as sea anemones (above and top) and feather duster worms (center). A winning conservation action will be a total ban on bottom trawling over the entire Exclusive Economic Zone, and the high seas. The announcement of a draft accord to cease bottom trawling throughout one-third of the EEZ is a step in recognising the issue, but it is not yet the winning outcome for conservation the Minister of Fisheries Jim Anderton claims. The proposed fishing closure is a few years late, after massive destruction of seabed ecosystems, especially cold water coral forests reaching 10m tall, and including ancient gorgonian and endangered black coral. It's interesting that fishing companies have agreed to the ban. They now acknowledge the problem, after misleading the public that trawling technology had been developed to prevent seabed damage. While the fisheries and conservation branches of government act to restrict bottom trawling on seamounts, the Ministry of Economic Development is pursuing equally destructive seabed mining on them. Companies will have no interest in many of the areas that will be closed to bottom trawling, because they have never been fishing grounds, or have already been overfished. There is a reason why the New Zealand bottom trawling fleet has in recent years moved on to the high seas. How much will the fishing industry actually lose? Seafloor that remains ecologically intact within the closed area would have been trawled by now, if it was a viable commercial fishing ground, before the industry started fishing in the deep sea. The Orange Roughy Management Company stated in 2004 that the industry's footprint on the seafloor is less than 5 percent of the world's 75 percent of ocean. It was adamant that seamounts higher than 1,000 metres are not fished, because they are inaccessible, too steep, or do not have the commercial fish. Proposed closures cover locations from the subantarctic islands to the subtropical Kermadec Islands, and are intended to protect 42 percent of New Zealand seamounts. Counterproductive to the proposed restrictions for conservation purposes, Neptune Resources is targeting seamount locations on the Kermadec Ridge to mine dense accumulations of sulphide deposits. A second mineral prospecting licence was granted in January to Neptune Resources (Monowai) Limited for a 47,110 sq.km area along two-thirds of the Kermadec Ridge. Neptune completed drilling of 23 holes for core sampling, and grab sampling on one seamount in their first licence area on the southern section of the Kermadec Ridge in December 2005. Mr Anderton is familiar with deep seabed mining activity, as he was responsible for mining development as the Minister of Economic Development in the 2005 government. This is not the first time the action of one Ministry has been compromised by another. In 2000, 19 seamounts including Rumble III and Brothers were closed to fishing by the Minister of Fisheries. Rumble III and Brothers are within a mineral prospecting area. 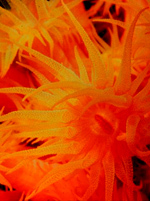 TerraNature has been calling for comprehensive EEZ management. Current government actions once again show the need for sensible conservation with optimum value. Images left and bottom right: Bycatch from bottom trawling in the high seas northwest of New Zealand, Crown Copyright © Ministry of Fisheries, by permission of the Ministry. The Ministry of Fisheries has previously refused to address the issue of bottom trawling, and to show the New Zealand public the destruction, obviously for fishing protection reasons. The government and the bottom trawling companies have now been disgraced by images, obtained from the Ministry of Fisheries by Greenpeace through an Official Information Act request. 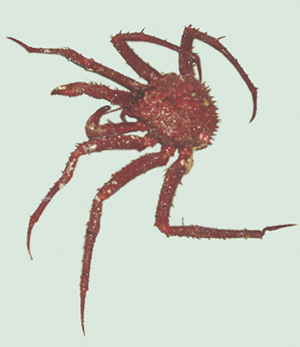 The photographs taken by onboard observers during 2004 and 2005 reveal a broad diversity of deep-sea life caught in bottom trawling nets. A very small part of the damage is represented by the images, since only 5 percent of vessels have observers onboard, and not all of them take photographs. Orange roughy are commonly found around seamounts. The remaining fishery has been reduced by bottom trawling to about 20 percent of what it was before commercial fishing. Orange roughy habitat on many seamounts has been scraped clean by bottom trawling gear, particularly on the Chatham Rise. "An unprecedented win-win for conservationists and fishermen," is how Minister of Fisheries Jim Anderton describes the development of a draft accord between the Minister of Fisheries and New Zealand deepwater fishing companies. "Industry leaders have agreed to close more than thirty percent of New Zealand's Exclusive Economic Zone (EEZ) to bottom trawling and dredging," Jim Anderton said. The draft accord proposes to close some 1.2 million square kilometres – almost one third of New Zealand’s EEZ - to bottom trawling and dredging. When added to New Zealand deepwater areas already closed, the proposed closures would mean that 42 percent of seamounts in New Zealand waters will be protected. This would be the largest single marine protection measure ever proposed within a nation state’s EEZ. The proposed closures would extend from the Subantarctic waters south of Campbell Island to our Subtropical Kermadec region. 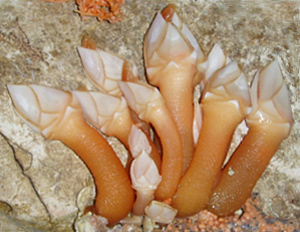 They lie across a range of depths, and cover a range of habitats that broadly represent New Zealand offshore waters. "These areas have had little or no bottom trawling or dredging in the past, so we expect their ecosystems and habitats are relatively intact," Jim Anderton said. "The extent of these proposed closures means they will go a long way towards meeting the offshore objectives of our recent Marine Protected Areas policy," Jim Anderton said. "In this, they represent a win for both conservationists and fishermen." The Marine Protected Areas Policy was jointly developed by the Ministry of Fisheries and Department of Conservation, and aims to create a network of marine protection across New Zealand’s territorial seas and EEZ. The network will include representative examples of marine habitats and ecosystems, as well as special places that are considered outstanding or rare. 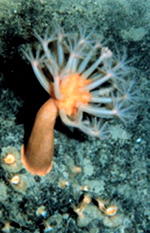 Jim Anderton said that if he finally agrees to the proposal he will "reserve the right to make further closures if significant new information becomes available that would materially affect whether the Benthic Protection Areas remain adequate and broadly representative of the benthic environment within the EEZ". Jim Anderton says industry leaders have also suggested some bottom trawling and dredging closures in deep water areas beyond New Zealand’s EEZ. He says these proposals can be progressed either through interim measures, or the new regional fisheries management organisation that will cover that area. "This proposal will allow substantial progress in achieving the Government’s marine biodiversity protection objectives in the offshore waters and demonstrates our industry’s enterprise and responsibility in being willing to take pro-active steps to preserve the capacity of the marine environment from which they harvest", Jim Anderton concluded.